This is Part 1 of a multi-blog series “The Cloud Wars.” Watch for more in this series. Every day, I am asked the same few questions. Why Azure? Why not AWS? I heard AWS was better, so why are you talking to me about Azure? AWS has more market share (this is debatable! ), so isn’t Azure “losing”? In Part 1 of this blog series, I’m going to focus on sharing some facts about Azure and AWS. I’m not going to get into the financials debate over market share or revenue earned; I will leave that up to Wall Street to figure out. Since I’m in the CTO space most often, I’m going to focus on the technology and capability of the platforms and try to be as unbiased as I can be (but keep in mind that I’m a Jedi, er, Azure Cloud Architect). So, if you are a technical person or a CTO in your organization—or are aspiring to be, this blog is for you! Key Point #1: Who is the best Infrastructure as a Service (IaaS) provider? When it comes right down to comparing the two mega public Cloud providers, you should be very comfortable knowing that you are in the hands of two world class companies! 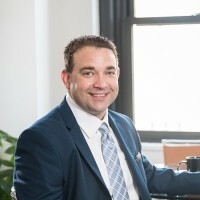 They have both invested multiple billions of dollars into their respective data centers, security posture, and automation to bring you the latest and greatest, delivering capabilities that are arguably superior to what most organizations can deliver on their own. Fact: AWS was among the first public Cloud providers. Arguably, the first. Amazon was forced to develop a Cloud solution to solve for a very simple problem in the new Internet age: eCommerce. Given when Amazon took on eCommerce, the cloud wasn’t really a thing – but Amazon needed a way to elastically scale servers to serve up a website – and be able to handle spikes in traffic – massive spikes – as well as grow without rewriting their website daily. They needed a way to virtualize servers so that they were a commodity and learn to treat servers like cattle rather than pets. They were Amazon’ing at it (get it?) – and got really good at it, too. Once they figured out how to do this for themselves and realized they had excess capacity that was lying dormant when not needed and that they could sell this “compute” to other companies, an entirely new business model evolved…the Public Cloud. Fast forward to today, Amazon now offers dozens of services in areas such as storage, compute, deployment, management and security across their S3 and EC2 services. And that is just to support standard IaaS (Infrastructure as a service) solutions! But, on the other side of Lake Washington in the Seattle area, Microsoft was the leader in the server and tools space, with arguably the largest footprint of any company in the world in the enterprise space (sorry, IBM). But Microsoft was quickly realizing they were facing a new world, where servers were becoming commodity and more compute was needed to solve for today’s problems on the Internet than the aging metal in the data center their customers could afford to maintain. The Server and Tools division of Microsoft began to increase their focus in virtualization technologies and started the programs that have evolved today into Azure for IaaS solutions. They need data center elastic compute, and it had to be cheap and easy to use. Although AWS had a head start in the IaaS space, Azure has since closed the gap in offerings and has a portfolio as vast and complex as AWS. While Microsoft has traditionally been very strong in Windows, Linux now represents nearly half of their business. 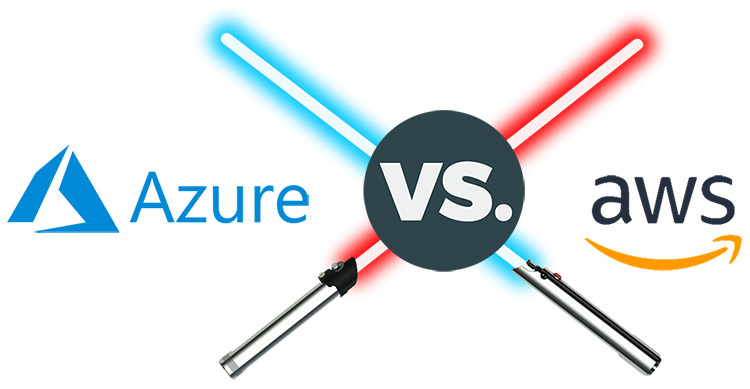 The Cloud has become this generation’s spiritual technology battleground…and everyone is picking a side…the light or dark side of the force (or Azure or AWS…sorry…couldn’t help it). The best Infrastructure as a Service Provider (IaaS): DRAW! Key Point #2: Who is the best Hybrid Cloud provider? The Hybrid Cloud is where most enterprises are focusing their attention. It would be almost impractical to believe that a company is going to go “all-in” in the Cloud and not have some form of traditional, on-premise infrastructure. Companies have existed for decades, have amassed years of infrastructure, and invested fortunes to build out their data centers, so why would anyone think they would give them up overnight to put everything into the Cloud? Microsoft realized this very early on and approached the cloud with this in mind, using their strength to their advantage – making hybrid Cloud their primary focus. Enter the concept of Hybrid Cloud, some infrastructure is on premises and some is running in the cloud. This brings about a new set of interesting challenges—networking, security, and access. Microsoft had a clear advantage as their beginnings started in the on-prem enterprise software space with Windows Server, SQL Server, Exchange, and countless others. And like any Rebel Alliance, with the vast network of existing systems already in place, rather than forcing change, they introduced change by presenting choice. Microsoft began adding Hybrid Cloud integration features to most of its enterprise server products with its public cloud as part of the core of the software. This enabled them to introduce the “option” of their software running in the cloud or on prem and left the choice up to the consumer. All of Microsoft’s products are now developed “Cloud first” and then back-ported to on-premise installations. In addition, Microsoft introduced Azure Hybrid Benefit for Windows Server, which allows you to use your on-premise licenses to run Windows Server workloads in the Cloud. Microsoft’s goal was simple: Make it so easy to adopt Azure, and make it so compelling from a technical perspective, but allow the choice to remain yours…with no Empirical Decrees! This was truly a first for Microsoft. Microsoft also introduced the concept of the Azure Stack, which allows a company to take the Platform-as-a-Service (PaaS) capabilities of Azure and run them on premise. This helped reduce concerns of technology lock-in and give CTOs the ability to pull back from Azure to their own private, on-premise Cloud if they needed to. Or operate in both locations! AWS, on the other hand, approached it quite differently. They began as a pure Cloud provider. They started with a “come run here” model, which required many companies to make a conscious decision to move—and without any real fall back or hybrid options. AWS allowed you to back up your Windows Server to AWS, but that is where their hybrid capability ended. However, now with AWS’s partnership with VMWare (which is very technology specific), you have the capability to extend your VMWare vSphere stack into Amazon AWS. With VMWare existing in many enterprise organizations, this was a brilliant move on the part of AWS to get a foothold in the hybrid space, purely from a technological standpoint. You still have the licensing problem and must pay full product prices, but that is a CFO concern and not a CTO concern (not primary, anyway), so we won’t factor that into our debate of hybrid superiority. The best Hybrid Cloud provider: AZURE! Key Point #3: Who has the most complete Cloud platform and capabilities? From a pure technological standpoint, this is a challenging question. But if you position yourself to ask it from a few different points of view, it helps to round out the answers to common questions. First off, if your company is battling in the Cloud War from a pure infrastructure standpoint, most of the hearts and minds out in the universe believe that AWS has that battle won. But if you review Key Point #1 above, you quickly realize that that perception of the past is no longer accurate when comparing the two Cloud providers. Next, if we add in the concepts of Software as a Service (SaaS), that introduces a whole new dimension to the cloud comparison. Microsoft has “SaaS-ified” their traditional bread-and-butter software used by 90% of all enterprises: Office. With the introduction of Office 365 and its full suite of capabilities, basics like Email, document development and collaboration, storage and retention, and automation, are all built as part of a platform that pulls in the masses of workers who need to be productive. Combine that with business applications like Dynamics 365 for Sales/Service (CRM) or Finance and Operations (ERP), you continue to pull the enterprise into Azure for primary business operations, continuing to rely on a common platform to support your business. Finally, if you start to add in advanced features like Power BI and the Cloud Data Platforms of Azure, you then pull in the analytics that in the past were solved for with massive data warehouses and computation platforms that are just no longer necessary. Chances are, your organization is already using Azure and might not even know it! Finally, the interconnectivity of all of these Cloud capabilities allows an IT organization to supply the organization with seamless integration across all of these productivity, business, and IT systems without changing their management tools or identity management solutions. Some would argue that you can “lift and shift” on-premise systems you have used for decades to AWS and do the same thing…but that’s not true. Your IT department will still have to provide care and feeding for those VMs and systems in AWS, so all you’ve really managed to do is change the location you are managing. With Microsoft, these systems are now their problem to manage—and your IT department is free to work on more value-added benefits for your organization. The most complete cloud platform and capabilities: AZURE!